There’s a misconception that cats are curmudgeons who don’t make friends with other cats. So, do cats get lonely and do cats need other cats for company? It comes down to a few different factors, like personality and age. Tigers live as solitary hunters in jungles. Lions live in prides in grasslands. But what about our domestic cats? Are they loners like tigers or social like lions? Yes and yes, and no and no — depending on the cat and the situation, experts say. 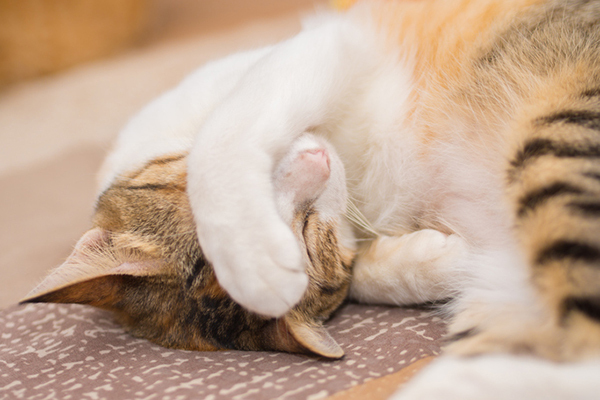 We talked to some of those pros to try to answer the age-old questions: Do cats get lonely? And do cats need other cats? Do cats get lonely? Or are they happier in single-cat households? Do cats get lonely or are they fine flying solo? Photography by ivanolianto/Thinkstock. The first step in answering, “Do cats get lonely?” is knowing that domestic cats are solitary when it comes to hunting and eating. Dogs may have a reputation for being more social, but that is only because they hunt in packs. Not so with cats, who don’t like eating too close to each other. Many parents in multi-cat households put their kitties’ food bowls next to each other, but this is a mistake, says Marilyn Krieger, a certified cat-behavior consultant in the San Francisco Bay area. “Cats have to eat, so they will, but they’re not very happy. It’s a little stressful,” says Krieger, who is also known as The Cat Coach. Outside of mealtime, though, most cats have social needs. While some cats hate their own kind and must be the household’s only pet, feral cats form colonies, and many pet cats befriend each other. And what about pet cats? Do cats get lonely when they’re the only cat in the household? “Domestic cats are a social species,” Dr. Dantas says. “Yes, you can have cats that are buddies because they really like each other and not because they have to be,” Krieger says. Still, cats are able to survive as solo creatures, Krieger says, even if that isn’t their preference. And adult kitties have a territorial nature. The answer to “Do cats get lonely?” is likely yes — if they’re kittens. That territorial nature doesn’t typically kick in until adulthood. Kittens crave playmates, and they especially bond with their littermates. But even if you adopt kittens from separate litters, they will likely become instant besties. Still, though kittens tend to be more socially flexible, “just with any species, some individuals are born not being comfortable around strangers,” Dantas cautions. Do you have a cat-hating cat who must be by herself (a situation that might result from a kitty that got separated from her littermates at an early age) or a lonely cat who wants a buddy? It may be difficult to tell, as your cat might be clingy and needy with her human but not necessarily do well with another cat around her, Krieger says. It helps to know the history of both cats — the resident and the potential newcomer — if you want to predict whether the two will get along. When choosing a feline companion for your cat, look for one that is a similar age, and therefore has a similar energy level. If you have an older cat, a kitten will torment and pester him with manic energy. 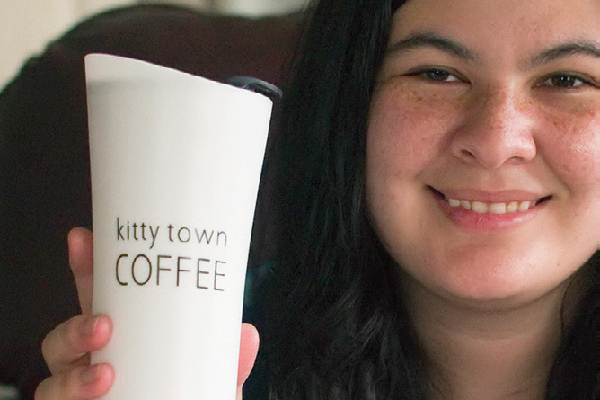 “The kitten’s job is to be playful and explore their world and attack things,” Krieger says. “The older cat’s job is to take a nap.” If you have an older cat and want to adopt a kitten, get two kittens so that they can play with each other and let their older uncle relax in peace. Otherwise, look for an older best friend for your adult cat. Introduce cats correctly by keeping them separate at first, Dantas says. This lets them get used to each other’s sounds and smells and gives their brains time to hopefully decrease the neuroendocrine stress response. Each cat needs her own food dish and litter area, and positive experiences should come with introductions, like treats. Do cats get lonely — after their longtime feline companion passes on? When a cat dies, the loss leaves a void in both your life and your remaining cat’s life. 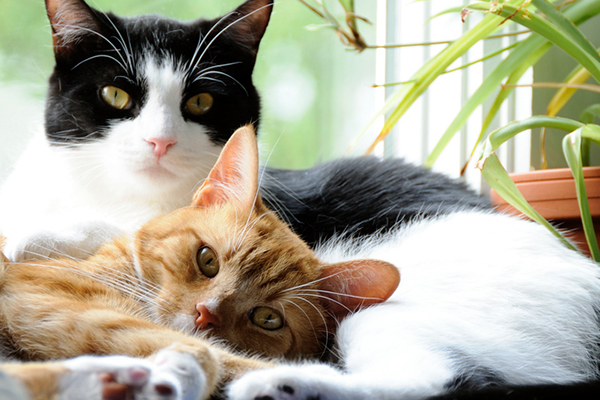 The question is how soon cat parents — and their resident kitties — should seek new companionship. Dantas and Krieger recommend giving your cat (and yourself) time to grieve and stabilize. This may take a month or several months. Oh my goodness! Amazing article dude! Thank you so much, However I am encountering issues with your RSS.I don’t know why I can’t join it. Is there anybody havingsimilar RSS issues? Anyone who knows the answer will you kindly respond?Thanks!! I have Charlie(cornish rex), who’s 10, Syd, (Austrialian mist) 3, who are best of buds. Mazzee 4(Cairn), Milo(chi) 4, Mya (chi)1 inside and they all sleep together, play together and get onry with each other and were adopted at different times. And its like a mob because they follow us everywhere. I have 2-outside , who i tamed Jack and Petunia, who are probably 6-8 years old. Everytime I take Mazzee out, Jack and Petunia follow us all the way to and from. Neighbors, i am sure think we are all a bit off as they’ve never seen cats follow. All animals are so wonderful. On leap day 10 years ago (Feb. 29) Mommy Cat gave birth to 7 kittens..
We lost the 1st born kitten 4 days later, but the others thrived.. They were born in my bedroom in a big banana box lined with towels & a blanket we had set up & ready..
We kept all the kittens & 4 years later, I moved out & took with me, 2 of the (now grown) cats, Little Boy & Leo.. They were absolutely inseparable.. The only thing they never did together was use the litter box at the same time. They slept together, they ate together (I had a rectangular bowl for them) they even drank their water at the same time, though they would eat & drink by themselves at times.. I wrapped his head in a bandana, gave him kisses & wrapped him in a sheet & blanket. Leo never left his side, laying in front of the carrier door.. Sadly after a few hours of waiting for a ride, I had no choice but to transfer my Little Boy to my freezer. It was heart wrenching & I cried & told him how sorry I was..
Leo laid by that freezer door the whole time. My Little boy died on a Sunday but I never got anyone to take me to his vet until Tues. morning.. I couldn’t even go into my kitchen, let alone open the frig or freezer for 2 days.. It was haunting. I lived on snacks I had in a cabinet in my dining room..
For weeks after, Leo would sit in front of the front door crying & laid in front of the freezer door crying relentlessly.. It will be a year in Nov. and Leo still cries (me too) and has become so clingy & needy with me. I literally can not go anywhere in my house that he’s not right behind me… NOWHERE! In bed at night, he literally lays on top of me with his head buried in my face or neck.. I feel guilty when I have to go out for appointments or shopping. He sits by the door as I’m leaving & is right there when I come home & come through the door.. I don’t know if he actually sits by the door the entire time I’m gone, but his litter box & food dish appear untouched when I come home.. Sometimes I put Little Boy’s wood box with his ashes, on the bed by Leo but oddly.. there is no reaction at all.. I think considering everything else, that is very unsettling to me..
Everyone tells me to get another cat for companionship but I can’t do that because I never want to go through that heartache again, though I know someday I will when Leo crosses the Rainbow Bridge someday.. Thank you for sharing. We tend to underestimate the range of emotional processes nonhuman animals can experience… especially cats, they are a very misunderstood companion. When I had my three, Cleo, Arnie and Tripod, I had only one litter box and one food/water dispenser; they got their canned food on a plate. They didn’t seem to mind sharing. They actually stood/sat in line to get dry food or water! Cleo first, because he was the alpha male, then Arnie and finally Tripod. Wish I had a picture of them in line at the dispenser. Very patient, too! Cleo and Arnie were buddies, though sometimes Arnie would hump Cleo in a bid to take over as alpha male–they were fixed–and Tripod was their baby sister. When I brought Tripod home, Arnie hissed at her, while Cleo sat and looked at her, she looked at him–and then she walked up to him and licked his face. Then Cleo’s like, “Okay, she can stay!” Arnie hissed at her for three days until he finally decided she wasn’t leaving, then he tolerated her. When Tripod went into heat before we could get her spayed, Cleo would hump her to get her to shut up awhile. Remember, both boys were fixed. They’re all gone now, and I miss them very much. Originally I had two cats adopted separately from my niece. Then took in a feral cat from back yard. Took a long time for them to all get used to each other, but it happened. In the past 3 years I lost the original two and the feral cat was by herself with me. I befriended another backyard feral cat who had been fixed throughout a few months. During a very cold spell I made her mine. These two get along so well, you’d think they grew up together. Obviously Baby was grieving and I didn’t realize until I kept Punkin from freezing last winter. We are all thrilled with each other and hope we have many more years together. Helped that I introduced them through the back door and with Baby in a cage in the back yard, which she loves in decent weather while I’m doing yard work. Punkin is content inside now, but Baby still enjoys going out for some fresh air in my arms or her cage. We are a very happy cat family. one footnote: if one of your cats dies, make sure the other cat(s) get to nuzzle her. they’ll understand death. if you just remove the body (such as euthanasia at a vet), bring the body home so they’ll all know she died, and didn’t desert them thereby creating stress and sadness. sounds odd, but a vet told me cats understand death as we do. We always fostered oldies, abused and terminally ill cats for a local charity and when it came to one going to Rainbow Bridge we ALWAYS brought them home and ‘laid them in state’ in their bed for a couple of hours so the others all had a chance to nuzzle them and say goodbye before we took them away and buried them. Cats, as all animals do, certainly DO understand death and it does help them to see that their playmate/housemate has gone. Yes, I found they still ‘moped’ and were sad & subdued for a few days but they never went looking for the missing cat. I’ve told my husband that if, heaven forbid, anything happens to me he MUST let our three see my body so they know Mum hasn’t just abandoned them! I have 4 cats, mom and her 3 kids. They get along great. They often hang out together. As for eating, all the food is in one place and they don’t care if anyone else is “already there” they want to eat too. Often, all 4 will be crowded around the food eating at the same time. for single pet cats, attention and “being there” is crucial–you’re part of her Pride. we left home for nearly a month and had our adult grandson cat-sitting at our house. when we returned Patches avoided us and generally was mad at us for about 2 weeks. had to tell the gs that when you clean out the clumping litter box, you must put more in. she had maybe 2 cups of litter left in her box. i don’t blame her. This happened to me too when my older cat died. I didn’t realize my two cats were that close. They would sit on opposite ends of my bed, except when they were chasing each other around the room or “boxing”. But Olivia seemed quite distressed by the sudden absence of “the other kitty.” We would just sit there together quietly. This was a few years ago. I don’t know if I should get another cat to keep her company. I worry that she is lonely while I am at work but I don’t know how she would take to a new cat. Sadly, this also happened to me. (Me and my cat.) I was in the hospital for a few weeks and my friend/neighbor would come by every 2-3 days to take care of my cat. She also didn’t understand that she was supposed to pay attention to the cat during part of this time (at least…) I had to tell her to spend time with the cat. So she would block out a period of 4-5 minutes and task herself with petting the cat who, shockingly, never really seemed to warm up to her. “I pet her for a solid 3 minutes. I timed it,” she insisted to me. Some people are not meant to be pet owners. I appreciate her helping out with my kitty but I had no idea that I would have to spell all this out for someone who was taking care of a cat. She isn’t qualified to do the job. Nice offer but terrible for the cat. You need to go over the entire routine with your sitter if they don’t have a cat themselves. I have 4 cats with one litterbox. Scooping it 1x a day is fine. I would use at least 2 litter boxes for 4 cats. Size of the box would make a difference. Too many cats using one box would cause them to step on the other cats poop. Not very sanitary. I have one litter box for each cat and one extra litter box . I swear my cats love eating from the same plate.. they are littermates.. the only two in the litter.. my boy cat one time saved his sister’s half when she didn’t go for her dinner. I was out of town at the time.. she was missing me as we are very connected.. he knew she would come eventually and she did. He is very thoughtful of her!!!! I have two sister cats who also like to eat together out of the same bowl. The vet recommended that I feed them separately so I tried that for a while, but it seemed to stress them. They eat twice a day, so I give them their main meal together and their smaller meal in separate bowls but nearby each other, just trying to get them used to eat separately in case anything ever happens to one of them. Mine, too, will wait for each other to eat, and if one isn’t there for some reason, the other one will save food for her. It’s really sweet. Cats need to eat every 4 to 6 hours, not just twice a day. It’s an okay schedule for dogs, as they do not have similar metabolisms as cats. But our feline friends need food a little more often. My Bella is a grazer and it’ll take her about an hour to eat one plate of food. She eats four times a day on average. She is still slim and trim. I have a female, spayed, and I was wondering if she gets lonely when I go away for a week. The neighbor comes in every two to three days to feed and check her litter. Physically she is fine with this routine but I wonder if she gets lonely. I tried another kitten awhile ago but he got too dominant and way too rough. Should I try another female? Every two to three days- for me that would be a big worry as on average cats eat about 2-4 pouches of food a day and graze on dry food and their water needs to be changed daily. If your neighbour is only coming every two to three days- what is your cat eating on those other days? I guess you must be leaving lots of dry food for your cat, but ideally they need wet food as well as it’s good for their bladders. Water should also be fresh. Hopefully your cat has access to come and go through a cat flap so they’re getting fresh air etc. The question about a play mate- really depends on the individual cat’s personality. Some cats are quite happy on their own, but if they’re clingy when you return they may be lonely. If you can set up little things in the home like boxes to play with and treats hidden in places, it will keep you cat busy and happy for a while. (More difficult over a long period of time as your cat may fin everything in one day, but if you put something different in every room they will love exploring it). This was my thought,your neighbour going in 2 to 3 days,it worried me our cat eats 3 to 4 pouches a day and waits for bits of chicken when we done eating he loves ham also small cubes of cheese as well as cat stick treats.hope you don’t mind me saying this. My first two cats were happy alone. But Buddy is very playful and I would love to get him a little brother or sister, but I can’t afford another pet deposit right now. My fifteen-year-old Leo has been one of two or three cats in my home most of his life. For the last year and a half he has been the only cat. He is clearly much happier as the only cat than he was as one of several. He got along well enough with others, but he wasn’t really bonded to them. Now that he gets all the attention, he is more affectionate with me and more mellow . Not all cats benefit from socializing with other cats! This is exactly what happened to me. I had two cats who tolerated each other, I actually thought they liked each other to a point. When Kira died, I couldn’t believe how Miller blossomed! He started talking to me more, he was much more cheerful, playful and even started playing fetch with me. If a cat could smile he would have been doing it! He loves being an only cat and I had no idea. I lost my 16 year old cat in January. It was so heartbreaking to myself and to my other cat. He was so depressed and would not eat for a long time. He was looking all over the house for her. He seems to be used to being the king of the house now so I don’t think that he would like another friend. He is glued to me and I think that if I brought another cat in to the house that his feelings would really be hurt. I’ve wondered about this since I adopted my little guy more than three years ago and he’s an only cat. I socialized him a lot, bringing him to different places, meeting different people, even making friends with a chihuahua — but there hasn’t been an opportunity to give him play time with other cats. At the time I wasn’t able to adopt two cats, and now I worry that he won’t acclimate to another cat if I adopt again. He’s become King of the Apartment, First of His Name, Ruler of Beds and Couches, Prime Demander of Human Attention. And that last part is not a joke. He’s always with me, and always wants to be a part of what I’m doing. Our bond is exceptionally strong and I wonder if that would be a hindrance to adopting another cat. I’ve thought about fostering to help a local shelter, but also to see how my cat would respond, but I’m not sure that would be fair to the fostered cats. You need to do a lot of research and talk to the shelter before you foster. I did it for a year (before my situation changed) and basically the foster had to be the only animal in the house or be limited to a section of the house without your personal pets. But I had cats that had medical issues or behaviour issues and needed to be on their own. As for you particular situation: my current cat has to be THE only cat in the house. He will try to attack any other cat in the vicinity (and the screaming for the cats outside and he is indoor-only is nuts). When he was younger, he did live with other cats (one older, one younger and we introduced them all properly) but he stayed on his own and he needed his own space without the others intruding. I have a similar situation. I adopted Clancy as a kitty almost 5 years ago. He and I are solo. We’re buddies, I spend a lot of time with him. Brushing, petting, playing and constantly talking. He disappears periodically, throughout the day in the house then searches me out and tell me (literally) what he wants. Spoiled, yes, and I wouldn’t have it any other way. My continued concern is, however, is he lonely while I’m away? If I leave for an overnight or two I do have a wonderful lady that comes in and plays with him twice a day, feeds him, changes littler, etc. and send me a photo or video. I wish I knew if he’d be better off with another cat around…but no one seems to be able to answer that. I, honestly, don’t want two, but on the other hand want to do the best for my Clancy. put your question on google and include the phrase Cat Whisperer. Jackson Galaxy has good advice for this on several YT channels.